Another Ayo! project is now fully implemented! In 2015, Ayo! , FAR’s crowdfunding platform, launched Changing Landscapes, an initiative aimed at providing art therapy to the at-risk children of FAR’s Children Center and to the sick of Yerevan’s hospitals through photography. Changing Landscapes had a unique focus of using art, specifically nature photography, as a restorative and healing tool for different age groups and environments. Through the project, vulnerable children and adolescents were able to learn photography, and over the spring and summer of 2016 took chaperoned day trips to local parks and nature sites throughout Armenia where they were taught how to experiment with a camera and capture their natural surroundings. There, they not only benefited from being outdoors in nature and but also from expressing themselves through their new-found art form. 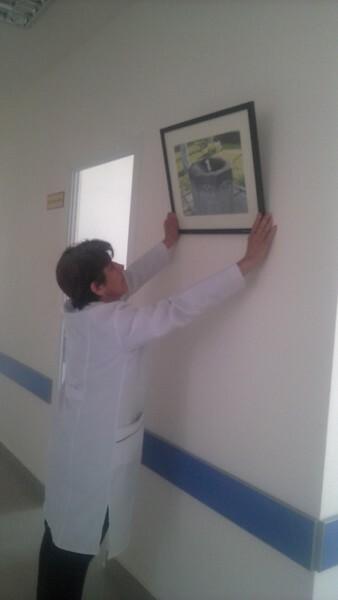 Their 35 collectively selected best photos were printed, framed, and are now hanging in 11 hospitals throughout four different regions of Armenia! These photos are now an additional source of comfort, hope, and calm to the ill patients who are occupying hospital rooms, their families, and hospital staff members. Take a look at some of them in slideshow below.